2017 was the year when my journey into the working life began and Creamentors happened to be the company which opened for me the door to the world of career opportunities. Now, a year from that key moment, I would like to share how meeting Creamentors changed my professional life and I also would like to reflect on the brightest experiences so far. My acquaintance with the company began from a practical training interview which I was planning to do as part of bachelor studies at JAMK University of Applied Sciences. Since the very moment I crossed the office doorstep, I felt fully immersed in the company’s business environment as I was introduced to its main operations, operational philosophy and ongoing projects. Even though I was a little bit hesitant in the beginning and did not know what to expect mainly because of the fact that I was a first-year student coming from another country, my concerns evaporated during the comprehensive conversation with welcoming company members. Such approachable and friendly environment supported by courteous and responsive executive personnel has considerably helped me further to accommodate to the company’s working culture. Being a first interview for me, this experience proved to be one to remember as it set the path for my further cooperation with Creamentors. The first project I was involved in was the promotion of health and medical tourism services to the high-income Russian clients. It involved searching for different advertising channels, administering of the account in social media and creating the marketing material, however, the main challenge was to find a proper angle how to position Finnish health services to the high-end target customers in Russia who are traditionally more accustomed to other European destinations. In close collaboration with the client company, we have developed a feasible solution which not only focused on creating the marketing strategy to attract the respective audiences, but also on enhancing the international brand image of the company. In order to deliver that outcome, an extensive market research was conducted that encompassed particular segmentation factors of the target audience including demographic and behavioural aspects. From the guidance of my supervisor during the project, I understood that not a single business-related action can be initiated without correlation with the overall big picture in mind – that’s why strategy and concept development are foundational cornerstones in any business. 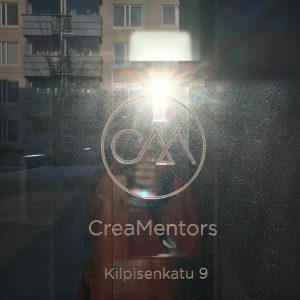 Since my first practical case in Creamentors, I tried to adhere to their business philosophy in every project that followed and the new tasks to participate in were never out of supply. To name a few, during the first six months of practical training I had a chance to take part in the development of the new business line for a renowned Finnish furniture designer, in strengthening the social media presence of a local Spa and Sports hotel and even in the sales process of a historical castle near Geneva! Personally, I find the opportunity to work with multiple projects to be engaging and thought-provoking at the same time, as one gets a chance to meet people from different industries and to try one’s skills in the variety of different areas. In addition, I discovered that project-based work can be a good motivation stimuli, because you don’t easily lose attention to the task at hand from concentrating all of your efforts to one particular area over a long period of time. On the contrary, you are able to maintain focus and interest to what resonates with you the most in every project that follows, not to mention the amount of expertise and insights which can be gained from every unique case. The “learning on the go” approach extends from Creamentor’s main line of operations to its internal processes which allowed me to significantly improve my skills and competencies. A great example of this learning experience can be the project for the company that wanted to establish business partnerships with Scandinavian medical organisations. The goal was to receive feedback on the company’s service concept and to probe the market for potential future deals. My task was divided into three stages: 1) conduct phone calls with Swedish, Danish and Norwegian hospitals to receive necessary contact details; 2) compile the respective e-mail list and send the company’s marketing material; 3) establish a follow-up phone call for a feedback discussion. Even though, it might sound simple at first, it proved to be more challenging than I thought. In order to gain that valuable service feedback, I had to constantly iterate: redo phone calls, redesign e-mails, contact new people, reschedule the timetable in a separate way for every case country. Eventually, on the 30th phone call, the redesigned selling approach was effective enough to get the first client lead. With every made telephone conversation, I felt more confident and competent which helped building up the required expertise for completion of the task. Through such iterative learning Creamentors are able to address the key needs of their clients while providing their employees an opportunity for personal development which in my case was the gained international exposure as part of partnership negotiations. International attitude combined with solid business expertise and positive working environment are the factors which made my practical training in this company a compelling and invaluable experience which marked the beginning of my working life. Throughout a year I was able to take hold of multiple opportunities to gain new knowledge, improve my skills and most importantly, to meet with inventive specialists from the industry. Besides, such opportunities are only continuing to increase with every new project started and every new market entered. Being a local company, Creamentors, are involved in global business with clients who want to uncover an untapped business potential coming from different continents. As their employees, the company is constantly developing and it has been a great pleasure for me to be a part of this development process. Looking forward, I can’t wait to see where the mission of creating unique business design for its clients will take Creamentors next!